Disneyland in Anaheim, California, is one of the most iconic tourist destinations in the world. 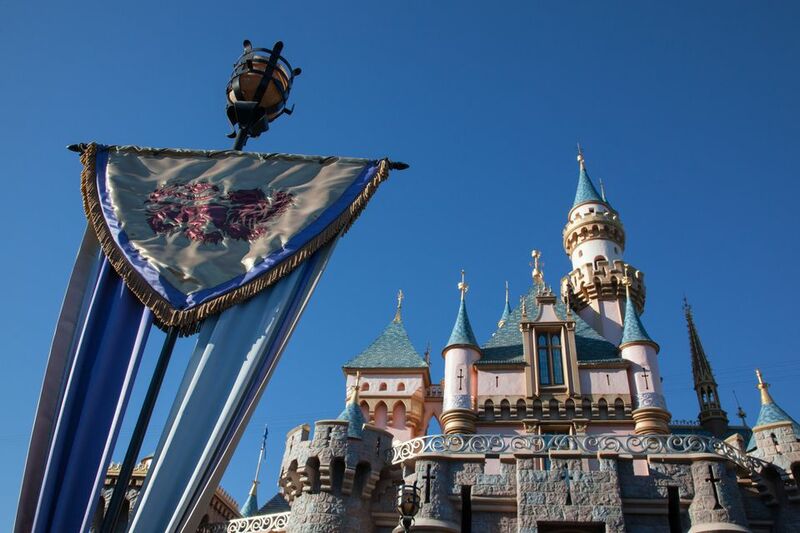 Review the various ticket options to the Disneyland Park and California Adventure so you can select the best choice based on how much time you have, how much you want to spend, and how much flexibility you need. All tickets (other than annual passes) cost less by buying online than at the gate, and it saves the time of standing in the ticket line at the park, so plan to purchase tickets in advance. Online ticket purchases are usually valid until the end of the following year. Children's ticket prices are good for children ages 3 to 9. Children 10 and older pay adult rates. Children under 3 are free. The sample prices included here may change at any time and are based on adult ticket prices. To cut down on the number of people trying to visit at peak time, one-day tickets to either Disneyland Resort park come in three levels: Peak, Regular, and Value. Visitors can save as much as $27.00 per person on a single-day ticket by visiting on an off-season weekday, compared to a peak season weekend. Value days tend to be most days that Southern California kids have school. There are no Value dates in June, July, or December. The official Disney website provides a calendar that lists out the Value, Regular, and Peak days and the ticket prices for each. One-Day 1-Park Tickets provide admission into either Disneyland or Disney California Adventure for a single day. Single park adult tickets range from $97.00 to $124.00, depending on the day. Park Hopper Tickets allow guests to go back and forth between the two parks as often as desired. They are available for one to five days. Single-day Park Hopper Tickets range from $157.00 to $174.00, depending on the day. There is no Value or Peak pricing for multi-day tickets, but the more days purchased, the lower the price per day. A 1-Day Park Hopper on a Peak day is $174.00 compared to $70.00 a day with the 5-day Park Hopper pass. The 1-Park-Per-Day ticket goes down to $61.00 per day with a 5-day ticket. Multi-Day 1-Park-Per-Day tickets will get you into a single park per day for the number of days you purchase, but you can't go into both parks on the same day. Thus, you can go to Disneyland on one day and California Adventure on another day, but not Disneyland in the morning and California Adventure in the afternoon. Multi-day tickets do not have to be used on consecutive days. Purchasers have 13 days from the first entry to use the additional days. So if you suffer from theme-park fatigue, plan a relaxing day at a nearby beach or at the Disney resort between park trips. Tickets are non-transferable. Don't buy extra multi-day tickets thinking you can bring different guests on different days, or sell your leftover days if you don't use them all. On single day tickets, you'll have a hand stamped to get back into the parks, but for multi-day tickets, staffers take a photo with their ticket scanner to make sure it's the same person using the ticket on all days. If you don't match the photo that pops up on their scanner, you won't get in. Three to five-day tickets include one Magic Morning, which gives early entry into certain areas of Disneyland before the rest of the park opens. One early entry is included for no additional charge when purchasing three-day to five-day single park or park hopper tickets. Annual passes come in three configurations, including the Signature Plus Passport with full access and no restrictions, which costs $1,149.00 for ages 3 and up; the Signature Passport for $999.00, which includes admission for most days of the year, and the Deluxe Passport for $729.00, which blocks peak days and most holidays. Additional perks like parking, shopping, and food discounts apply. Disneyland offers special rate tickets and annual passes to residents from zip codes 90000 to 93599. These change every year, and they're sometimes offered only for a limited time off-season, so locals should check the website to see if there is currently a Southern California special. The Southern California CityPass is a package geared towards tourists that includes a 3-day Disney Resort Park-Hopper ticket and one Magic Morning early entry. It also provides admission to SeaWorld San Diego and LEGOLAND® California. Visitors can save money overall by either spending fewer days at the parks or spending less cash per day with a multi-day pass. The more days spent at the park, the less difference there is between the price of a 1-Park-Per-Day ticket and a Park-Hopper ticket. Regardless of how many days at Disneyland, the Park Hopper upgrade is $50.00. Single day tickets must be purchased directly from Disneyland.com. But, for multi-day tickets, Viator is a vendor with a best-rate guarantee and exclusives like character dining, Disneyland tickets with transportation from LA hotels, and VIP guided tours of Disneyland and Disney California Adventure.